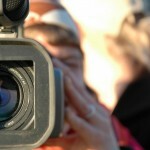 Should You Host Your Own Videos Or Use An Established Platform? It’s no secret that we’re a highly visual society. There’s just something about video that intrigues the average user to a far greater degree than the written word ever could. I’m not going to get into the reasons behind this fascination, nor am I going to go on about the advantages video has over other content formats; instead, all I’ll say is that a properly optimized video has an incredibly high chance of going viral, potentially elevating a brand to new heights. Creating your video is only the first step in achieving this level of brand awareness, of course. The next thing you’ll have to do is upload it…and that’s where you’ve got a decision to make: do you use an established platform like YouTube, or host it on your own website? I’ve compiled a list encompassing the primary strengths of each approach, to help you decide which one is right for you. It Will Provide You With Direct Traffic: If you implement and host a video on your own, every hit your video gets represents more traffic directly to your site. You’ll be able to capture and analyze that traffic, and if that video is shared enough, it could potentially bring up the rank of whatever page it’s hosted on. This will also have the added effect of making back-links more valuable and increasing your keyword rankings. You’ll Enjoy More Conversions: However strong your call to action is, it’ll be all the stronger if you’re directly hosting your video. With fewer steps to conversion, more users are likely to listen to your pitch, meaning more sales or inquiries for you. Contrast this to a platform like YouTube, where users aren’t particularly likely to click through. You’ve More Control Over Your Video Content: This is probably the strongest argument in favor of hosting your own content: you’ve complete control over the content of your video. You won’t need to worry as much about frivolous copyright claims, and you’ll be able to permanently link to it in whatever fashion you want. It’ll also make it considerably easier to incorporate your own analytics and user tracking. The freedom to design your own player further means you can tailor it to your site, making things look much crisper and more professional. 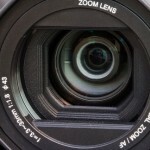 Your Videos Are Harder To Steal: One of the big problems with video sharing sites in particular is that they feature open embedding. Even if you disable it, there exists a myriad array of tools designed to rip videos straight from their source. If you’re self-hosting, it’ll be much more difficult (if not next to impossible) for any competitors to pull this off. You Won’t Need To Worry As Much About Competitors: On most video sharing services, there’ll be a ‘related videos’ feed next to your upload. This feed might well contain videos created by your competition, meaning you could easily lose viewers (and potential leads) to competitors. Self-hosting handily eliminates this problem. You Needn’t Concern Yourself With The Technical Side Of Things: Video sharing platforms and hosting services are appealing primarily because they’re easy to use. Whereas hosting your own video requires you to be fairly tech savvy, hosting on YouTube, Metacafe, or Vimeo is as simple as hitting “upload” then moving on to optimization and promotion. There Are No Hosting Costs (Or Issues): Hosting your own video can be a costly burden, particularly if it goes viral. Depending on what you’re hoping to do with your site, it might simply not be worth the money. Again, this is something you don’t need to worry about with hosting services; at the very least, you’ll need to pay a subscription fee (which will still be lower than the server costs). You’ll Get More Exposure And Attract More Viewers: Attracting viewers through video platforms is inherently easier than trying to draw them in with self-hosted videos. Exposure for such videos tends to be extremely limited when compared against the degree of exposure gained by tapping into a sharing site’s existing user-base. Plus, if you’re using YouTube, Google tends to favor its own products. Your Video Will Load Faster: As a general rule, you’re never going to be able to optimize your site to the degree that it’ll load faster than one such as Dailymotion. Given that most users aren’t likely to wait around if your video won’t load, self-hosting can be risky. You’ll Have Access To Greater Video Functionality: As a general rule, established platforms will let you do a lot more with your videos than self-made platforms (even if you will have less freedom). Uploading on YouTube, for example, will give you access to Google’s suite of video analytics and management tools along with easy embedding, 100% uptime, and single-click social sharing. If you’re self-hosting, these are all features you’re going to have to implement yourself. If you’re a regular YouTube user and even if you’re not, you have probably noticed the recent comments controversy. Google, in an effort to sanitize the comments that appear beneath videos and integrate YouTube with their social networking platform, implemented significant changes to the YouTube comment system. YouTube users, who rely on comments to communicate with their audiences and get feedback, were less than happy about the changes. The Internet has had a huge impact on many areas of the educational world. Whether you teach grade school, post-docs, or anyone in-between, you’ll be expected to take account of new technologies in your teaching practice. If educators are to effectively communicate with their students, they have to adopt the channels that are natural to the digitally native millennial generation. That includes blogs, social networks, and increasingly, video. If you want to create an educational video sharing site, screencasts are an essential component. Since video has become so much more popular and affordable, many content creators are turning from the traditional text tutorial with screenshots to the more information rich screencasting format. If your educational content revolves around a computer, then you really need to be making screencasts to obtain the maximum levels of engagement and sharing.